What construction technology trends will come to market in 2018? It will be a mix of continuing trends, new opportunities and potential competition. Some of these trends are ready for immediate implementation — you need only buy the products and seek out training. Other trends are not quite ready for production, but it pays to be informed. CB Insights reports that $800 million in investment has flowed into construction technology since 2012. It’s only a matter of time before those investments bring new products to market. What happens when small sensors and network connectivity become cheap and highly reliable? You have the “Internet of Things” trend — the ability to interact with a variety of non-computer and non-phone devices. In the construction context, Internet of Things applications include improved inventory management using RFID tags, remote operation and optimizing maintenance. The main change is that Internet connectivity and sensors are increasingly built in as a standard feature instead of being added later. Note that several hacking incidents have recently involved Internet of Things devices. If you are going to use these devices, make sure that your cybersecurity program is ready to protect them from unauthorized access. Once limited to the military and hobbyists, drones are now available for commercial use. A construction drone gives you additional options for deploying your staff effectively. Instead of asking your workers to inspect every inch of a high rise, a drone can fly around taking photos and videos. With that information in hand, you can make better management decisions. Manually flying drones is just one part of the opportunity. Caterpillar and John Deere are some of the firms that have demonstrated integrations with drones. Instead of manually handling drone photos, 2018 will bring better integration software so that using drones in construction will be easier. New capabilities in development include the ability to monitor construction equipment and build better 3D models. Ten years ago, 3D printers were an interesting novelty that produced light plastics. That’s starting to change. Project AME — a collaboration of industry and industries — recently demonstrated a “fully operational 3-D printed excavator.” This particular device is best described as a hybrid: parts of it are traditionally produced while some parts are printed. This matters in construction because it means construction equipment will become cheaper and easier to produce. Companies of note in the 3D printing space include XJet and Carbon 3D. With billions of dollars pouring into self-driving vehicles, it’s no surprise that the technology is advancing. Self-driving cars have already logged tens of thousands of miles on California roads. Made by Local Motors, the Olli relies on IBM’s AI system “Watson” to guide its operations. Further, the vehicle is electric! The age of diesel’s dominance in construction equipment may be coming to an end. Using autonomous vehicles to handle high risk materials such as chemical and nuclear waste is another way to take advantage of this trend. 5. Mobile Devices: Are You Using Them to Their Full Potential? Mobile devices are a well-established technology, so why are we listing them as a 2018 technology prediction? Well, the construction industry has historically lagged behind other industries in technology adoption, so your front line staff may not have considered mobile devices for use at the construction site. 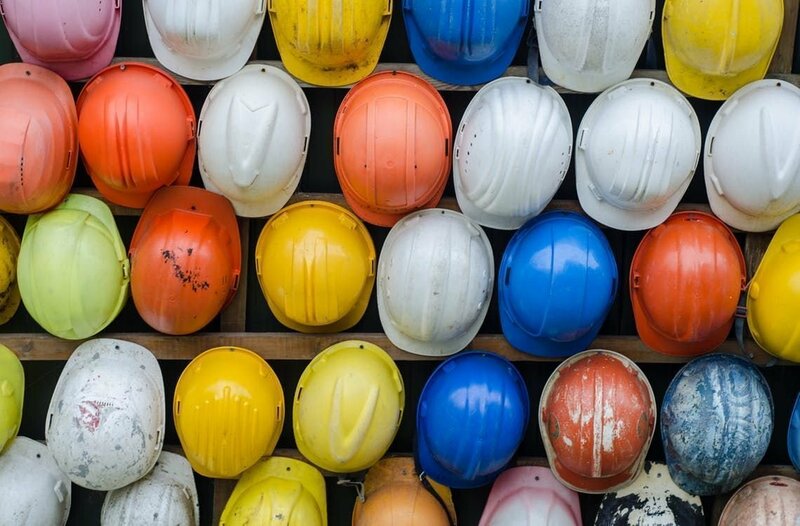 Mobile forms make it easy for you to eliminate paper forms like safety checklists, and collect and submit data back to the office in real-time, while also taking advantage of the fact that mobile devices are likely already on the jobsite. Construction firms that deliver large scale projects need all the data they can get their hands on. If you are running a multi-billion dollar construction project, big data analytics can help you in several ways. First, these tools can be used to improve the quality of budgets. Second, these tools help you to identify risk scenarios that may threaten the project’s success. To make the most of these tools, remember that you need to operate on a foundation of high quality data. Remember when Google Glass came to the market a few years ago? That product didn’t achieve iPhone levels of success. However, it was an important proof of concept. It showed that “augmented reality” can be done. In a construction context, augmented reality may involve providing a “Heads Up Display” to construction workers. ScopeAR and Caterpillar have worked together to put AR glasses to work to help remote technicians. What Tech Trends Are You Excited About? As you plan your 2018 goals, what construction technology opportunities are most interesting to you? Are you focused on exploiting proven technologies like mobile devices or pushing the envelope with new technologies like augmented reality? Ready to start taking advantage of mobile devices on your construction site? See how.